Well, as much as it pains me to say this... I'm out. "Sometimes a man has to do, what a man has to do." On a positive note, this is the longest I have ever let my beard grow, and it has been a blast getting to share it with you all. I shaved because I had an interview today and needed to be a little more professional that my trimmed beard could be. And, as sad as this is, my wife could not be happier. And when mom is happy, everyone is happy. Here is a fun compilation of me shaving I figured if I'm going out, I'm going out in style. Thanks for everything guys, and keep growing and showing!!! this is a great photo, but SHAME. WTF, that thing was incredible. good luck getting the job. Good luck with the job...and SHAME! Because of this awesome parting shot. What? This is the best SHAME photo I will ever see. NOOOOO!!!! Very sad. I was looking forward to this beard. Boo. I mourn a great beard. Goodbye to the best neckbeard I ever did see. Here's a sound plan for the near future: Resist shaving your upper lip and join us in May with that bodacious moustache. the irony of talking about mandom and the things to be done, while de-bearding. alas. Nice way to go out. Hate to see you go. Good luck on the interview. A man does have to take care of the family! you shoud have at least kept the great moustache. Awesome way to go out! With that said, SHAME UPON YOU & YOUR ILK! yeah, bring that mustache back in may! one of the best ways to go out... but sad to see you go out. The worst part is that in our culture shaving is considered more professional. Down with the man! Shame on the man that must go beardless to get a good job. Broken hearted. Yours was the beard I was most looking forward to. *sigh* What has our world come to? What a disappointment. Great way to end it, but I expected you to look much more forlorn in the last frame. Wait, was this done all in camera? Crapballs. You shaved. I am sad to see you go. you must be at least 10 pounds lighter. I know all the people you would have been interviewing with and they all love you and your beard. As a newbie, you were inspirational. My hat goes off to you. Now, I must get down to business brother. id love this if it wasnt for the shame! I hope you get the job. twas a beast of a beard. 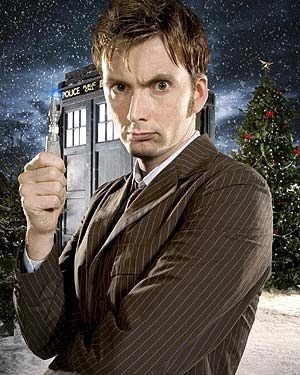 Shaven you look like the tenth Doctor, David Tennant. Clame. Dang man, I have enjoyed watching this mountain-manish thing on your face grow. Best to you and your beautiful family. Oh, and good luck with the interview. But sometimes it's fun to say: "SHAME HIM!!" This is a sad day Jimmy, but you gotta do what you gotta do. SHAME SHAME SHAME! still here? wtf? @mackle --- you have some shaming to do. Thanks for all the fun memories guys! Good luck out there Jimmy.. but you really should have kept the stache.